Believe it or not there is, in fact, an area of Destiny to which Bungie were met with moans and groans from their almost, hook, line & sinker audience. News that the player level progression would be capped at 20 hasn’t been well received from their MMO based community. 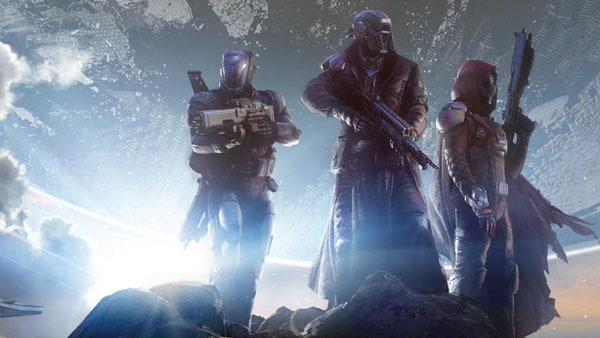 With feelings that the game would end rather abruptly with such a considerably small number when it comes to the Massive Multiplayer Online genre, but Bungie Head of Community Eric Osborne told TechRadar at E3 2014 said that there's more to Destiny's end-game content and that. "In Destiny, when you complete the campaign, you're really just getting started,"
With the world of Destiny In game constantly changing and moving It’s no wonder every aspect of the game is connected. Multiplayer is linked directly back to the rest of the game For example, "reputation" credits earned in deathmatches can be used to purchase weapons in the hub area. It's all "rooted in story, and that, this will keep players moving around and not getting stuck in a rut, Osborne said. "It sounds like light storytelling, but once you start experiencing it, it's a driver to keep you moving around the world in a really cool way," he explained. "It creates these cool cyclical experiences where you sort of become omnivorous." Of course there is a’lot more to the end game aspect of Destiny that has yet to be revealed to public eyes/ears. "We've named a raid, but that's just one of the examples of the kind of stuff we want to give player," he said. "Once they reach what they believe is the peak in the game, then we really just want to blow their minds with a whole bunch of crazy, like, 'Now go try that!'" To me it almost sounds like we’re looking at the typical MMO style of keeping the consumer Interested by pumping out new battle grounds, new faction/tier based gear & weapons etc.